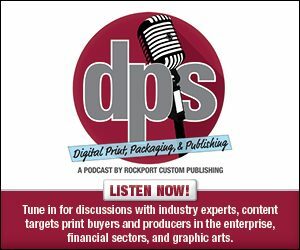 There is a $74.8 billion industry that offers opportunities for printers to take advantage of. At Dscoop Edge 2019 in Orlando from March 24-27, GPA will illustrate how printing businesses can expand their client base and profitability by featuring their new Sports Issue book. Designed to appeal to brands and their creative teams, GPA’s Sports Issue book focuses exclusively on one of the most profitable markets in North America. This market ranges from professional sports teams and local health and fitness clubs to event tickets and apparel. The first in a series of new brand tools, this book is the embodiment of how GPA leverages their global industry and product intelligence to facilitate innovation and support customer business growth. Exclusively printed on the HP Indigo 7800 press, this unique combination of synthetics and paper features a variety of embellishments that illustrates how enhancements in printed collateral can maximize impact in the sports market.